Telemundo Deportes, the exclusive Spanish-language home of the 2018 FIFA World Cup Russia, announced the addition of new audio offerings for Amazon Alexa and Google to enhance the final stages of the month-long tournament. 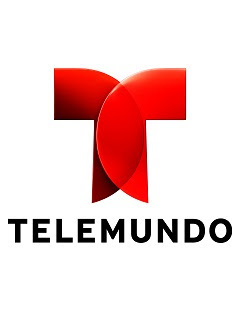 Alexa and Google can help fans stay up-to-date with the latest Telemundo Deportes news and podcasts. Alexa, Amazon’s cloud-based voice service, is getting soccer fans excited for all the matches. Fans will be able to access World Cup content with Alexa, by adding the Telemundo Deportes to their Flash Briefing in the Alexa app. Customers can ask “Alexa, what’s my flash briefing?” to hear Telemundo Deportes’ daily two-minute brief in Spanish recapping the action of the day, results of matches, the most interesting stories coming out of the games, and more — directly from Russia. Fans can tune in to Telemundo Deportes’ Dia de Gallos podcast daily throughout the tournament. Ask “Alexa, play the Dia de Gallos podcast” to hear from former Mexican soccer star Carlos Hermosillo and acclaimed sports presenter Miguel Gurwitz discuss all-things World Cup directly from Russia. In addition, fans can access the official theme music for Telemundo Deportes, “Sueño de Campeones” (Dream of Champions) on the Web Player or via Amazon Music app for iOS and Android, where available. Recorded in Studio One at the iconic Abbey Road Studios in London with an 80-piece orchestra consisting of strings, brass and percussion, “Sueño de Campeones” layers the orchestra to get a bigger sound with a 60-person choir, a guitar, and a piano — providing enough range and versatility to be used across Telemundo Deportes’ live broadcasts, pre and post games, and additional World Cup programming. Google recently announced that the Google Home now speaks and understands Spanish. As part of the partnership with Telemundo Deportes, Google has made Telemundo Deportes’ sports briefings available in Spanish. Each match, a briefing will be available recapping of the best action of the day during the 2018 FIFA World Cup, including who won the matches and how, as well as which teams are advancing the next rounds. Following the 2018 FIFA World Cup Russia, fans can continue listening to Telemundo Deportes’ news briefings and podcast on the Amazon and Google smart speakers.